You love moving the chess pieces, but always wanted to know how to really play? Then this DVD series is just the thing for you. Sabrina Chevannes explains the royal game to you from A to Z, from Alekhine's Defence to zugzwang - expertly and entertaining. Make your best move ever and enter the wonderful kingdom of chess. 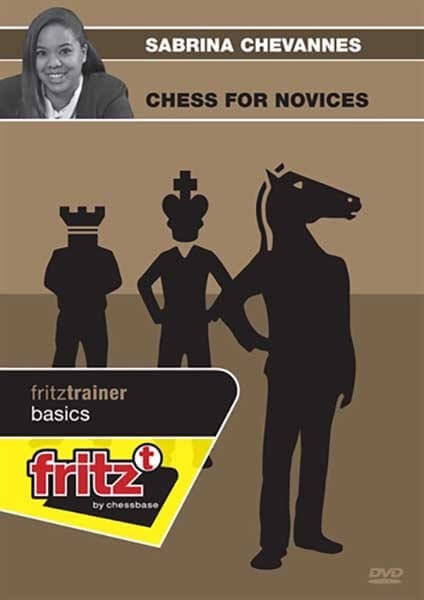 This DVD follows on from the material learnt in Volume 1 of the Chess for Novices series. The format of the DVD is the same and has 4 chapters split into Opening, Middlegame, Endgame and the test section. Opening – Basic opening traps: the most common traps that novices fall for in the opening stages of the game. Some traps are recommended but others are shown to learn how to defend against them. Middlegame – Very thematic checkmating ideas and patterns. These patterns help develop you attacking ideas and launch attacks against a castled king. Endgame – The key basic endgames are explained here covering all the essential King and pawn and Rook and pawn endings. Test – The DVD again ends with a test chapter with puzzles based on all the content learnt in the DVD. The answers are explained with analysis. Volume 2 helps you develop into a player who is ready to start entering chess tournaments by introducing all the technical ideas which are essential for your improvement.